Hanshi Dennis May receives the New Zealand Order of Merit « W.G.K.F. Oceanian Goju-Ryu Karate Federation, New Zealand Goju-ryu Karate and Karate New Zealand President, Hanshi Dennis May was awarded the New Zealand Order of Merit at an Investiture Ceremony which was held in the Government House in Auckland, on Friday August 18th. 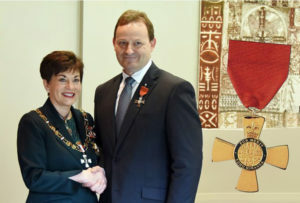 Hanshi Dennis May received the recognition from the Governor-General her Excellency Dame Patsy Reddy. 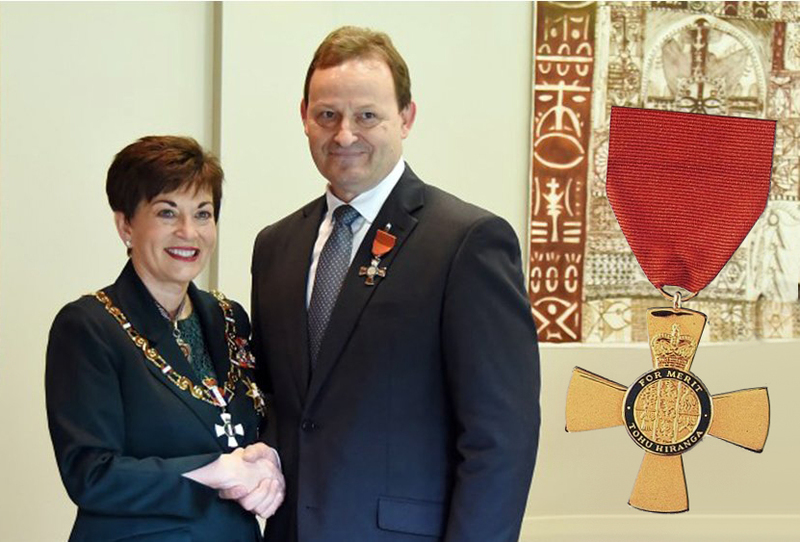 The head of Goju-ryu in New Zealand was appointed a Member of the New Zealand Order of Merit and was included in the Queen’s Birthday 2017 Honours List for his services to Goju-ryu, Karate and sport, entitled now to use the post-nominal of the Order. Dennis May, 9th Dan, has been involved with Karate for more than 40 years, coaching his Goju-ryu students in West Auckland, India, Sri Lanka and the Pacific Islands. To a friend and outstanding Goju fellow the well deserved congratulations.